Ruby is a smart gal. She knows that there are so many things she would rather be doing than scrubbing toilets or windows. Aren’t there things you would rather be doing too? 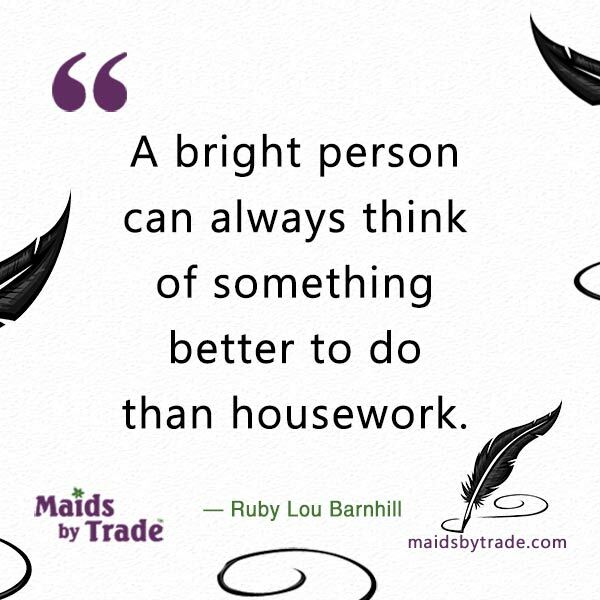 If you are bright like Ruby, call out a maid service to do all of the dirty work and go live your life! What are you waiting for anyway? Your life isn’t going to live itself! “A bright person can always think of something better to do than housework.” — Ruby Lou Barnhill. I’d be the bright person then, as it stands, I’m enjoying the warm weather with my family instead of attending to my house cleaning. Cheers.